Wish all of you a lovely day ahead! 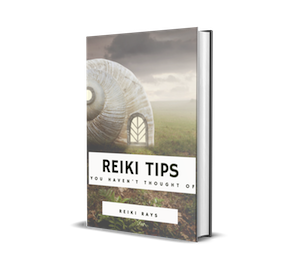 Today I am going to bring a fantastic new concept to all of you, which I learned in my Reiki WhatsApp group. I have a fantastic group, where we have Reiki Practitioners from all over the world. We discuss a lot of healing modalities and healing techniques, and there one day a practitioner told me about the Booster Chi Ball concept and I loved it so much, I started practicing it and has given me great results. We give healing to clients by various methods, such as touch healing, Reiki box, healing attunement, crystal grid etc. The list is endless. What if we could give a boost to the healing? It would definitely work better! Send healing to your clients, whichever technique you are comfortable with. You can boost all your healings together or you can give individual boosters for each and every intention. For me personally, the former works the best, as it is easy, quick and works with the same intensity as that of a single intention booster. Give a booster chi ball once or thrice a day depending on your intuition. Even if you heal with a chi ball or program Reiki, booster Chi Ball still works as good as it works for other healing techniques. You can also send yourself or someone a booster chi ball if they are exhausted after a days work or just feeling lethargic. I personally have started using Booster Chi Ball even after degree Reiki attunements to enhance my students Reiki energies or healing capacity (especially level 1), during the 21 days support I have seen these boosters have really worked wonders for them, and they are confident about their Reiki Practice! Hope you guys like this innovative idea and do try it, and I cannot stop thanking my Reiki colleague enough for giving me this idea. Please add me in your reiki group i am 3a master Healer and wants to share experiences to gather.